Welcome to creative writing at the University of Stirling, which offers workshop-based undergraduate classes and MLitt and PhD programmes. 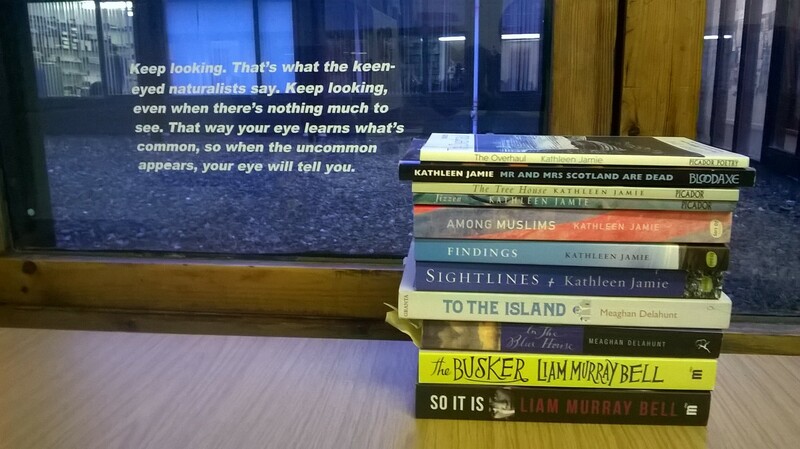 Our courses are taught by acclaimed writers Kathleen Jamie, Liam Murray Bell, Kevin MacNeil and Chris Powici. Creative writing has thrived at Stirling for over forty years. Under the direction of Emeritus Professor Rory Watson, Stirling was the first university in Scotland to offer degree credit for creative writing dissertations. Recent alumni successes include books from Karen Lloyd (The Gathering Tide), Helen MacKinven (Talk of the Toun), Ross Sayers (Mary’s the Name) and the Costa Short Story Prize 2015 for Danny Murphy. We continue to evolve and expand within Stirling’s new School of Arts and Humanities – home to strong programmes in Film, Media and Journalism; and the Stirling Centre for International Publishing and Communication. Creative writing is part of a vibrant and diverse English Studies programme, known for its groundbreaking postgraduate degrees in the Gothic Imagination; Modern Scottish Writing and Post-Colonial Studies.